This season, CAbi Clothing is inviting us to experience the brand through a live broadcast at one of 30 viewing locations and online. Join me in NYC! You guys know I&apos;m a big CAbi fan. Ever since my trip to Newport Beach for “The Scoop,” CAbi’s semi-annual training and runway show, I&apos;ve the collections and adding many pieces to my wardrobe (here, here, here & here). One thing that separates CAbi from other fashion brands is their consultant-based selling model. With approximately 3,500 CAbi Consultants spread across the country, the unique shopping experience is really where the magic happens. CAbi Consultants host private trunk shows surrounded by their girlfriends. CAbi Girls combine their careers with fashion, friends, and fun on the job. With every sale, consultants can earn up to 33% commission. 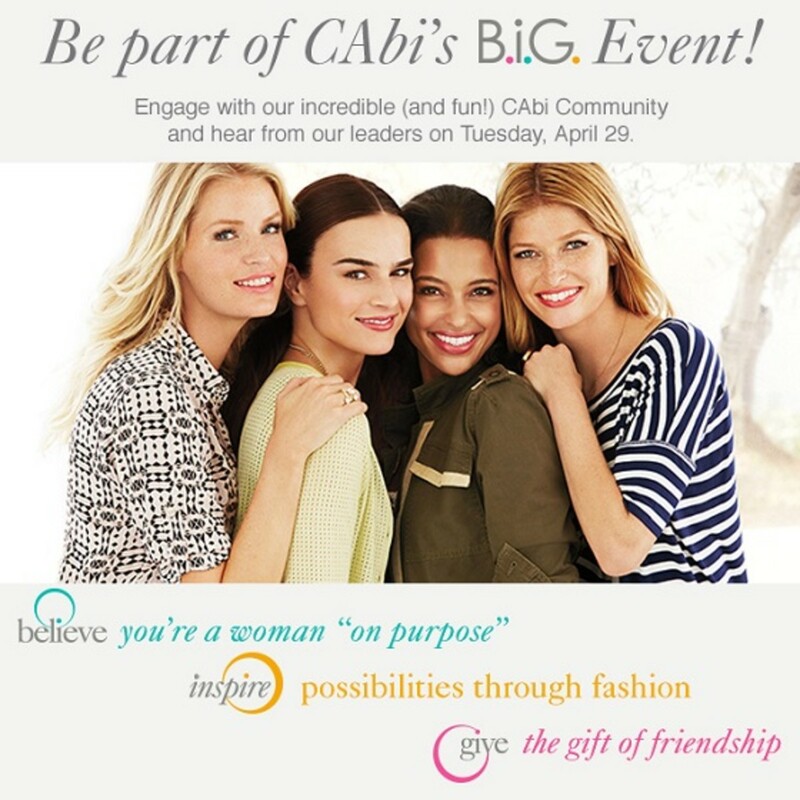 This season, CAbi is inviting us to experience the brand in a very special way through at CAbi&apos;s B.I.G. Event, a live broadcast at one of 30 viewing locations and online on Tuesday, April 29th. I&apos;ll be at the event in New York so come say hello! You&apos;ll get to engage with the CAbi Community, get a sneak peek of the upcoming collection, and learn why CAbi prides itself as a career without compromise for a woman in any stage of life. If you can&apos;t make one of the parties, you can watch the live stream on your computer from the comfort of your home. For more details about CAbi&apos;s B.I.G. Event, a list of locations, and the live stream, visit CAbi online.